Volunteers are an important piece of the success at Camp Daggett. The work of volunteers make it possible to get more done. 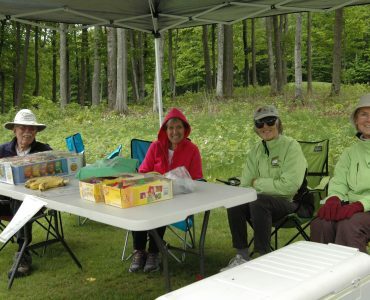 Without the help of volunteers the staff at Camp Daggett would never be able to provide the level of maintenance on the grounds and facilities or have the successful fund raising events; annual Golf Benefit and Kayak for a Cause on Walloon Lake. Camp Daggett receives an average of 9,500 volunteer hours per year! 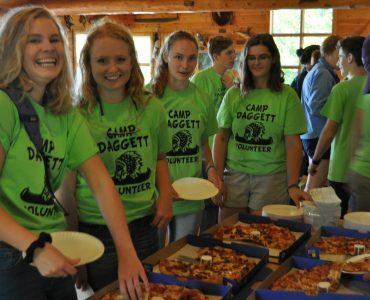 We cannot thank these volunteers enough for their willingness and dedication to help Camp Daggett be what it is today. They exemplify the Camp Daggett slogan, The Other Fellow First. In 2019 we will be looking for volunteers to help with the Snowshoe events, Father Son and Mother Daughter weekends, Golf Benefit and Fall Festival. If you have an interest in being a volunteer at Camp Daggett, download a Volunteer Form.